Our donor levels with corresponding benefits are listed below. Please note: The amounts are per student for families with multiple children (for example, for a family with two students, Blue Level is $500 x 2 = $1000). 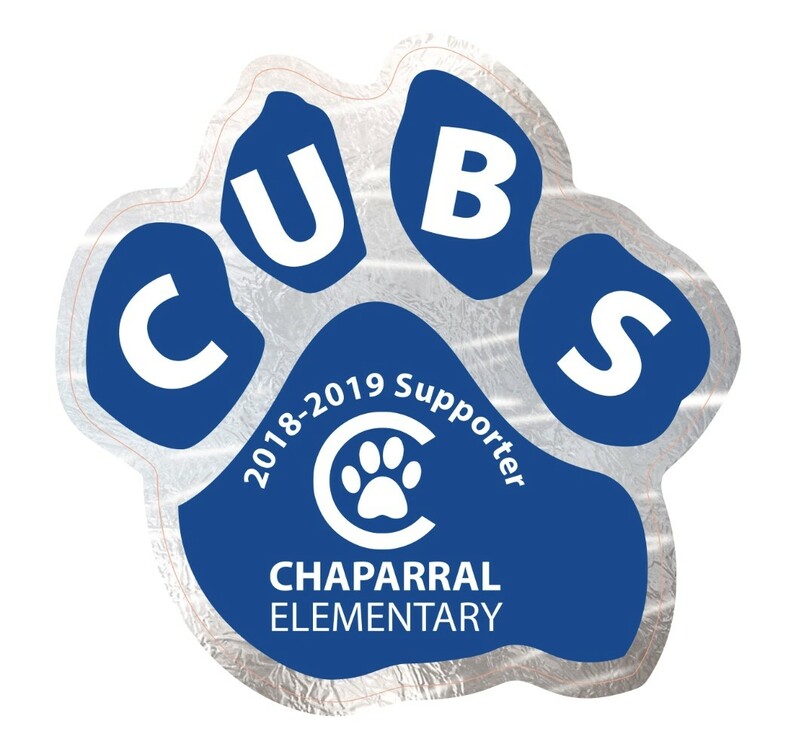 All donors, regardless of the amount donated, will receive a car magnet and Chaparral Facebook/Website recognition. *Families with multiple children reaching the Blue Level or above will receive two car magnets. Credit Card payments can be made through our online payment system, SchoolPay.com. Please click here for information on how to create your account. We also accept Cash and Checks. Please make checks payable to Chaparral PFC. Please remember that many employers have matching funds programs, and will match your donation with an equal donation, which doubles the size of your gift at no cost to you. Please ask your employer if they have such a program. All you need to do is provide us with the application and we will complete and submit all necessary paperwork. Your donation is tax-deductible (Tax ID #23-7334265). Please email chaparraldonordrive@gmail.com with any questions.